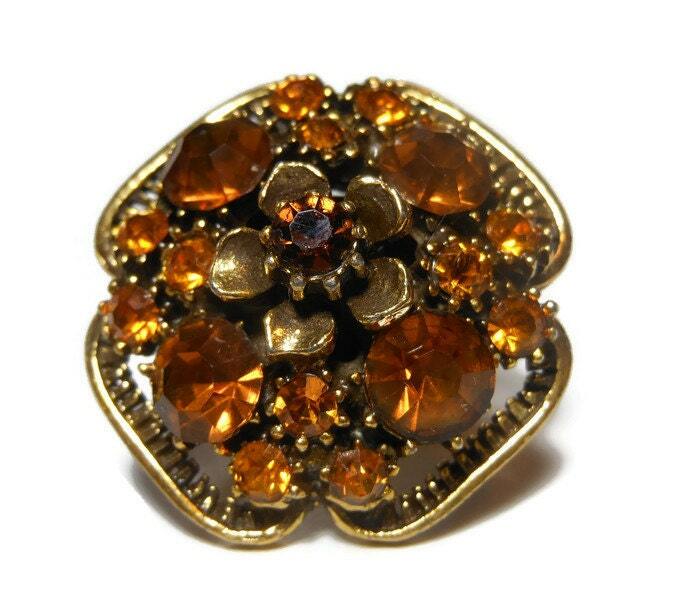 Florenza cocktail ring amber and root beer rhinestones with floral top, adjustable. The Florenza name was first used from 1949 or 50 (it seems unclear) and the company ceased operation in 1981. This piece is after 1955 because of the copyright symbol. I date it 1955 to early 60s. 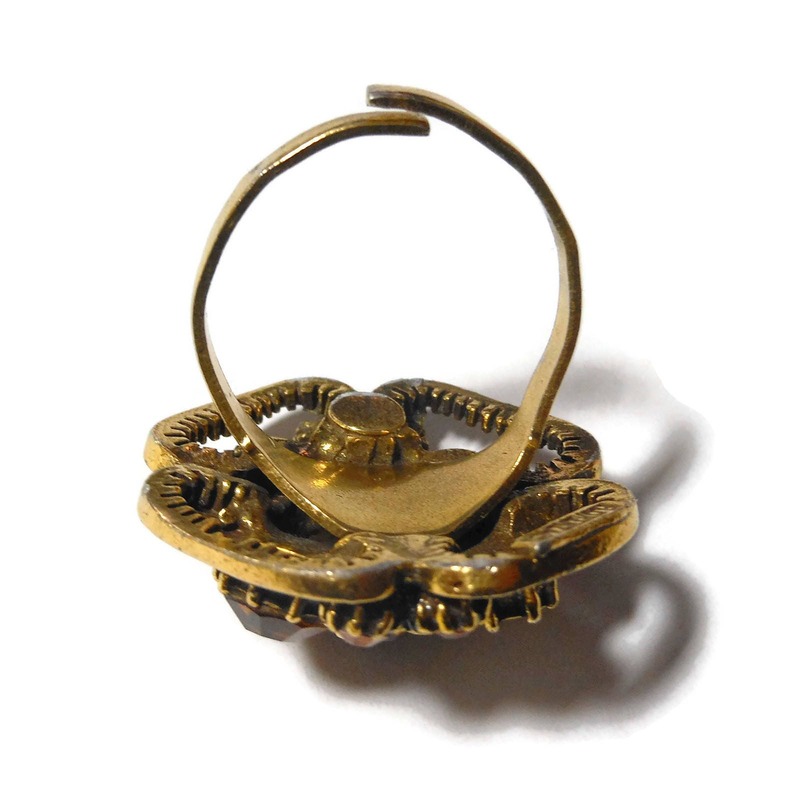 Their designs resemble old Victorian and Renaissance Revival jewelry and always exhibited quality workmanship and materials. 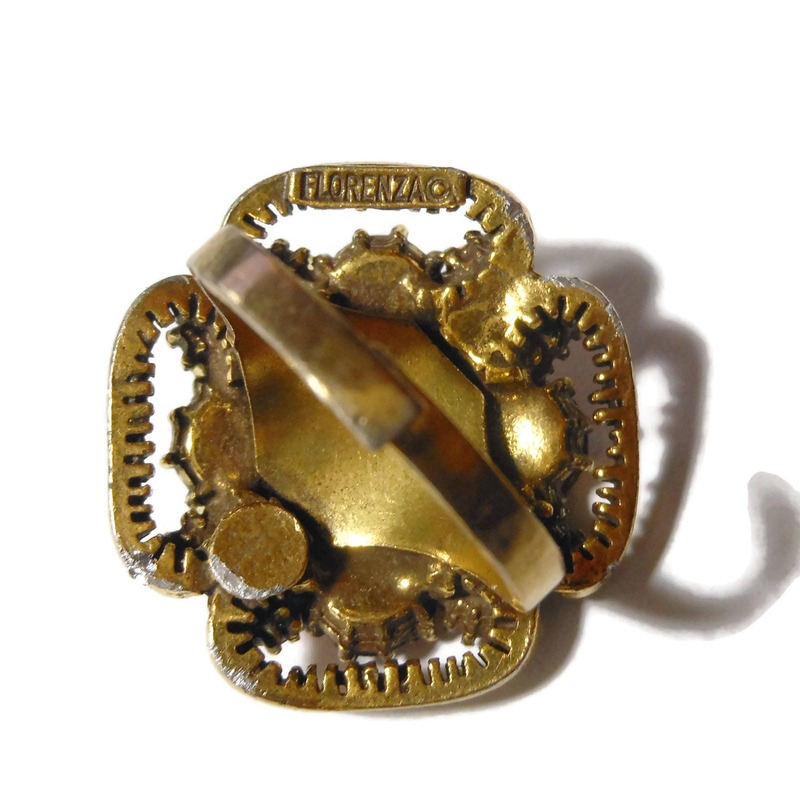 They made jewelry for companies including Weiss, Kramer, Coro, Capri, Carnegie and many others. 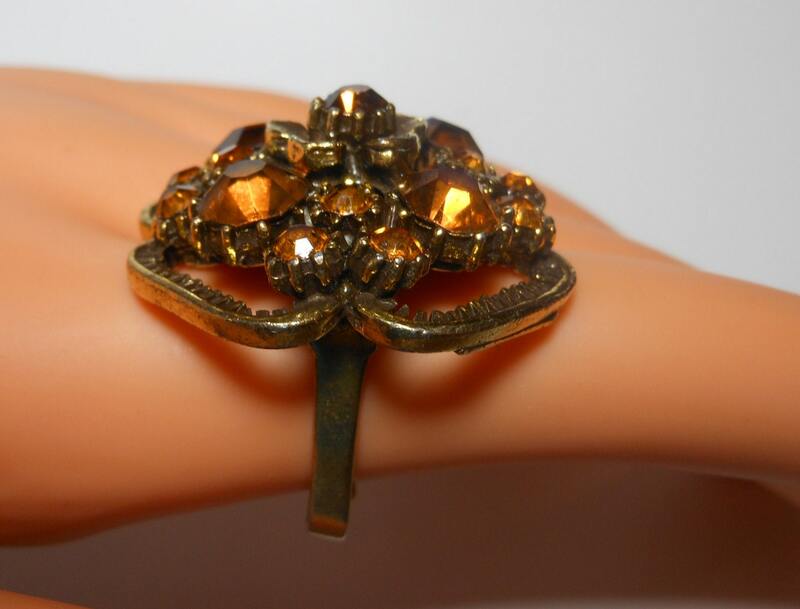 This is in very good vintage condition but that the shank has been slightly misshapen. It still fits fine and the top of the ring measures 1" (2.2 cm) X 1" (2.2 cm).